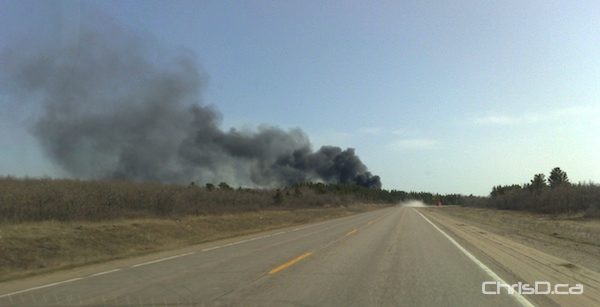 A fire broke out late Saturday afternoon at the Gull Lake Waste Transfer Station — a facility that handles used oil collection. 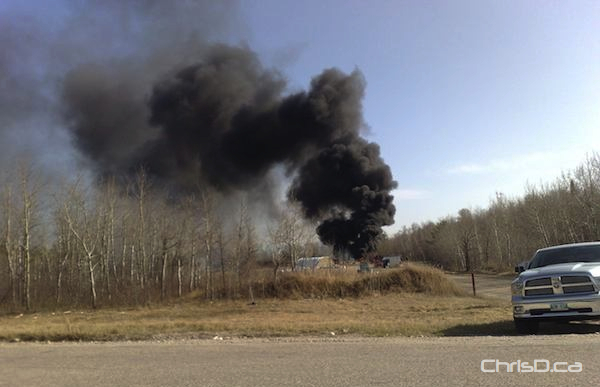 The reader who shot these photos said you could see black smoke clouds for several kilometres. The blaze occurred about 35 km south of Victoria Beach on Provincial Road 304 east of Highway 59. The cause of the fire isn’t known at this time. Submitted photos by Mark N.